Score cheap Suave Kids 2-in-1 Shampoo! 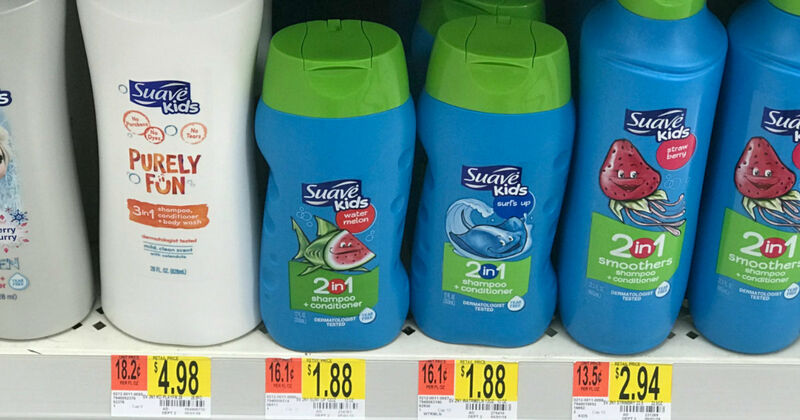 Score a bottle of Suave Kids 2-in-1 Shampoo + Conditioner for $1.88 at Walmart. Combine this everyday low price with a $1 Checkout 51 cash back and get it for only $0.88.